I Am What I Am Today Because Of The Choices I Made Yesterday: Another Running Man fan. 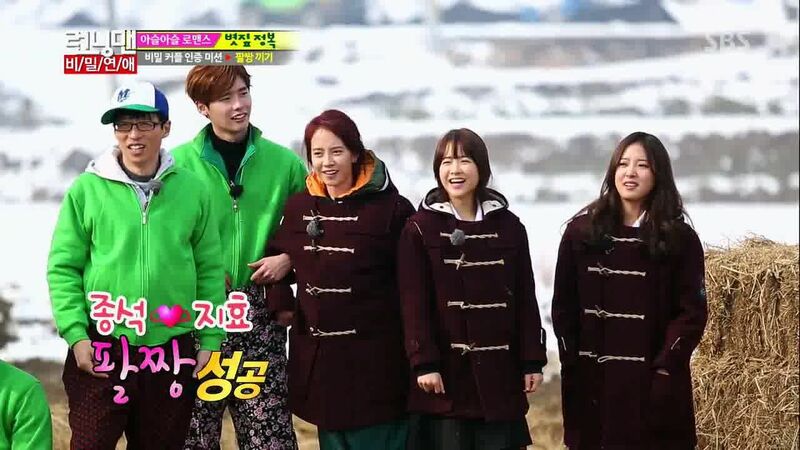 I remember my brother watching Running Man every friday night, when I first watched it(Big Bang episode), I find it quite interesting, they chased each other, and somehow the show brought me back to my childhood memories of playing "bubut-bubut", a sabahan language of saying chasing. And this ripping off name tags thing, something about it fascinates me, it's so new, so fresh, and never seen before in any other variety show. As I watched a few more episodes, I started to understand their relationship with each other and I grew fond of the show! Ever since then, I became a huge fan! I personally LOVE this picture of them, it's also one of my favorite episode(98). However, the show's ratings is declining recently, and I don't like where is this going. Especially this year, their ratings (according to wikipedia) so far had never reach 20%, the highest is 17.4%, the episode which they had the games given by a hong kong fan girl. I thought that the Australia trip or the Indonesia trip would boost their ratings, but it turned out to be so-so. And this year, their ratings drop until below 10%, which is quite disappointing, it is the mafia episode. This has never happened to previous years before(except for 2010 and 2011). 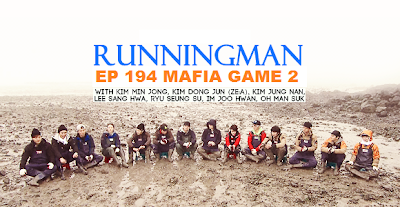 There are a few things that I don't like about Running Man and i think which also cause the ratings to decline. I guess that after 4 years of broadcasting, the producers ran out of idea. For example like episode 196, they time travel back to the previous episodes. And both of these, they appeared too often. Seriously! 2. Too much of talking scene. This is one of the worst episode, prosecutor and suspect, they talked too much. Same goes to the mafia episode. and I hate Yoo Jae Suk. He talked way too much. I feel like wanna slap him in the face and tell him to shut up in this episode (195). 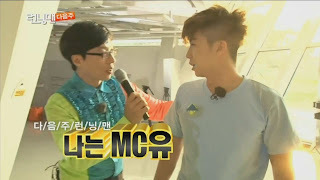 Producers, please, no more MC Jae Suk in the future episode, I just don't like him being the main character. Other reasons also include too many unnecessary scenes, like when they are in the car, overly repeated footage to create suspense, sometimes it can reach up to 5 repeating scenes from different camera angle. Skipping scenes is also a problem, it feels like we're missing something. I don't like that, if you know that they are too many games, cut it short. Don't make us audience curious as hell when we watch the skipped footage you show for seconds. Oh, and repeating guest within a short period of time is also not encouraged. Okay, enough criticism, let's go for some of my favorite episodes. Episode 155 This episode is loosely based on Jay Chow's movie, Secret. Dark secrets unfold in this episode. Episode 181 The secret couple Romeo and Juliet! Episode 188 Running Man in Australia, loving the kangaroo costume, especially the little pouch with little kangaroo in it! It make them look so cute. Okay, this is going on without an end, I'm gonna stop here so that my post won't be too lengthy. Can't wait for next week episode Ji Hyo as princess Snow White! Hopefully, the producers will come up with better games in the future. a loyal fan from Malaysia.